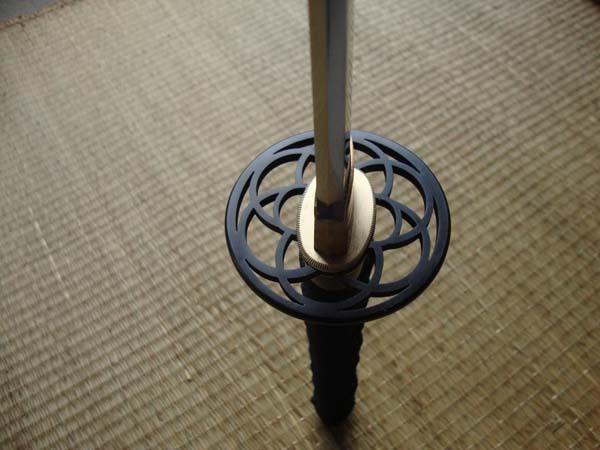 Model 017 of the Dojo Pro series is the 'Tetsumaru' - a classic black fittings styled Katana with sukashi tsuba featuring 8 concentric circles, a symbolism of life and death and suitably fitting to this grim and powerful sword. 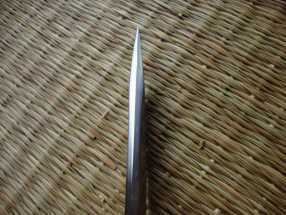 Compared to the other swords in the series, this blade has extra curvature (1" Sori) both in the blade and the handle. 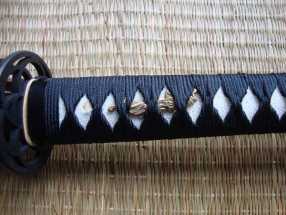 The saya (sheath) itself thick and made from quality wood - laquered a deep and rich black which - along with the Kurikata and Kojiri, are made of hand cut and polished buffalo horn, finished off with a hard wearing length of black sageo (cord) so it can be secured to your obi (belt). I might live on the other side of the world, ie. 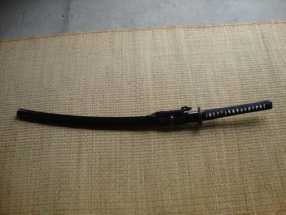 Perth, Western Australia but the sword arrived about 10 days after purchase - very quick given the number of transit legs involved. The U.S.P.S tracking number enabled me to follow its progress route from start to finish. The item was well packaged and arrived intact and undamaged. 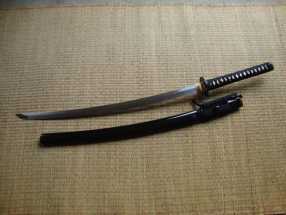 After much scrutiny of the Katana, I'd have to conclude that it is flawless both in appearance. 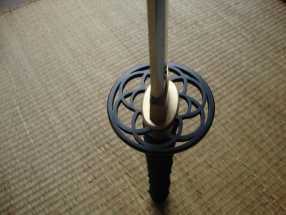 workmanship and handling. Though it may be viewed as a work of art (which it is) - make no mistake - this is the "real deal" and no "pretender". It truly is "battle ready". 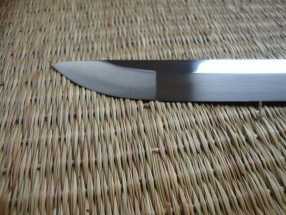 There was even no need for a blade touch up - it's razor sharp.